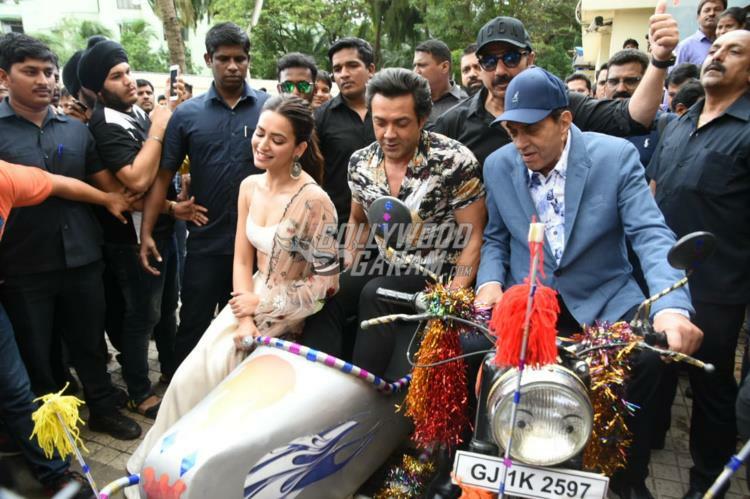 Veteran star Dharmendra was present for the trailer launch of the film Yamla Pagla Deewana Phir Se at an event in Mumbai on August 10, 2018. 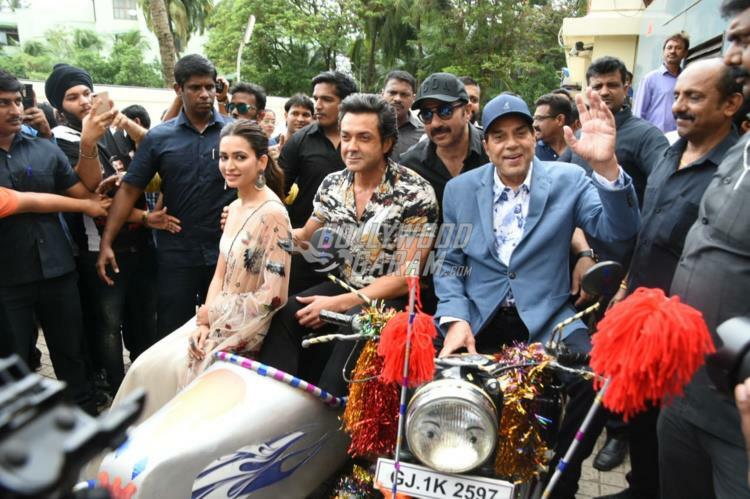 Sons Bobby Deol, Sunny Deol and actress Kriti Kharbanda were also present for the trailer launch event. 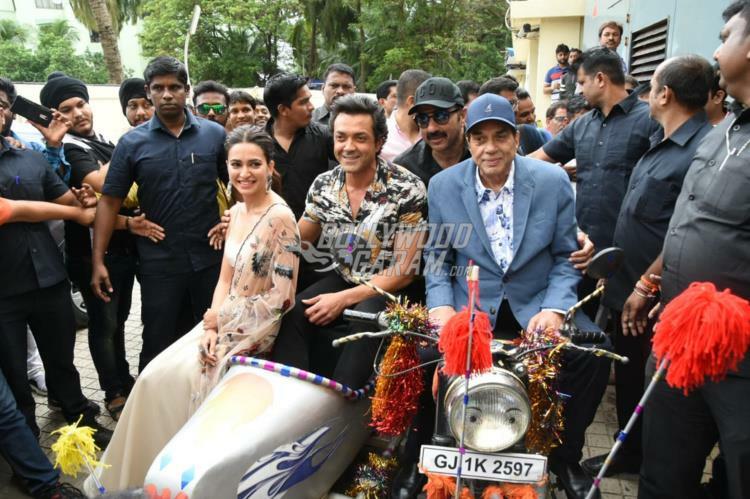 This the third installment for the Yamla Pagla Deewana franchise and Sunny, Bobby and Dharmendra will be reprising their roles yet again. Kriti is the new addition to the cast and will be playing Bobby’s love interest. Apart from the lead actors, the entire cast and crew was present for the launch. Dharmendra was seen in a bike with a side car while Bobby sat on the side car and Sunny was seen riding pillion. 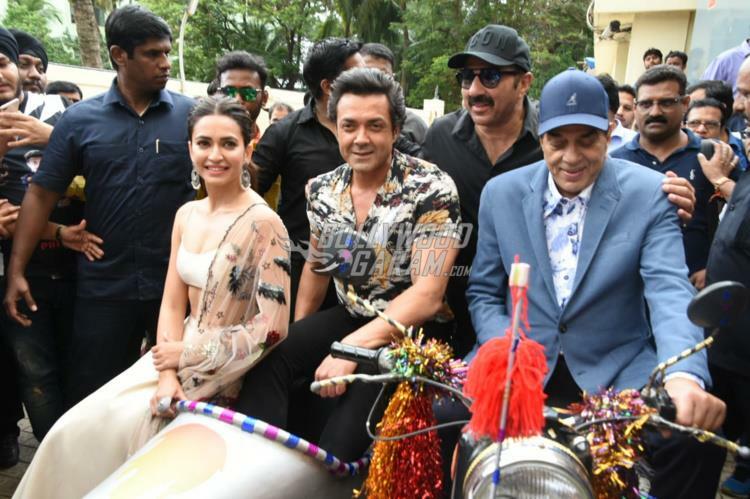 The Sholay star looked dapper in a blue jacket black trousers and a matching cap while Sunny was seen in a black shirt, black pants and a cap. Bobby opted for a floral printed shirt with black jeans while Kriti was seen in a pretty lehenga with a floral printed dupatta. 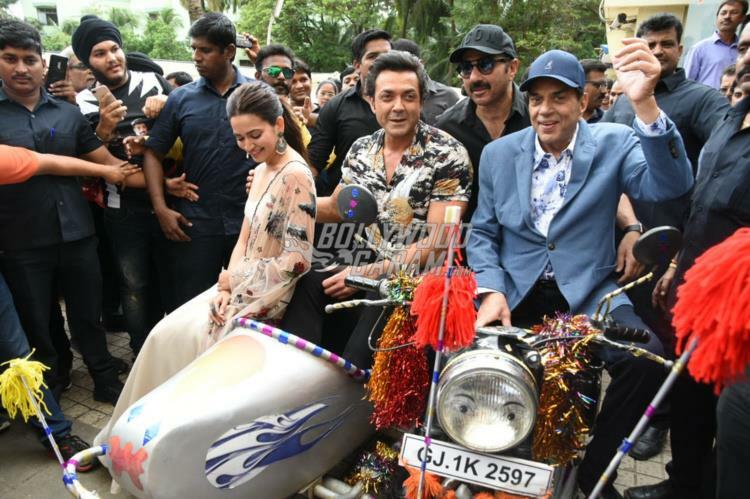 Yamla Pagla Deewana Phir Se is helmed by Navaniat Singh and produced by Kamania Punia Sharma and Aarushi Malhotra and will be released in theatres on August 31, 2018.